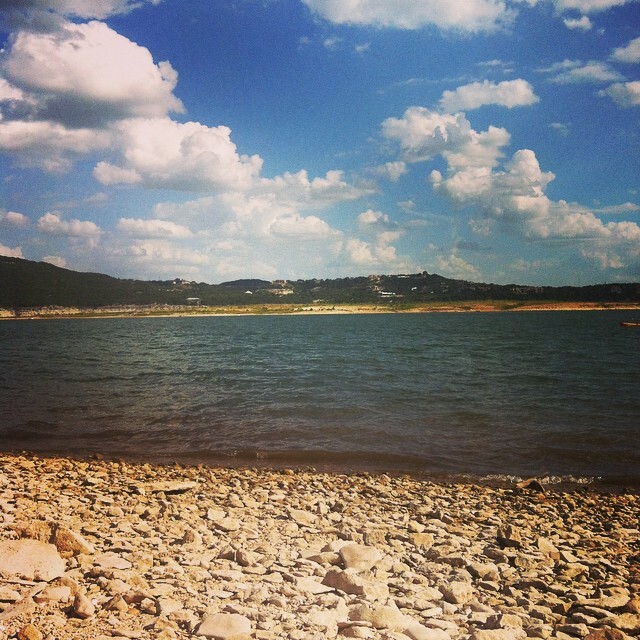 What better way to celebrate our labors with some swimming at Lake Travis? Relaxing with the sounds of the water, swimming and splashing in the cool blue, watching the boaters pass by and trying to catch glimpse of the folks down at Hippie Hollow was a day well spent. How did you spend your Labor Day? What is your favorite thing about living in Austin? my favorite thing about living in austin? the wonderful and eclectic writing community here!